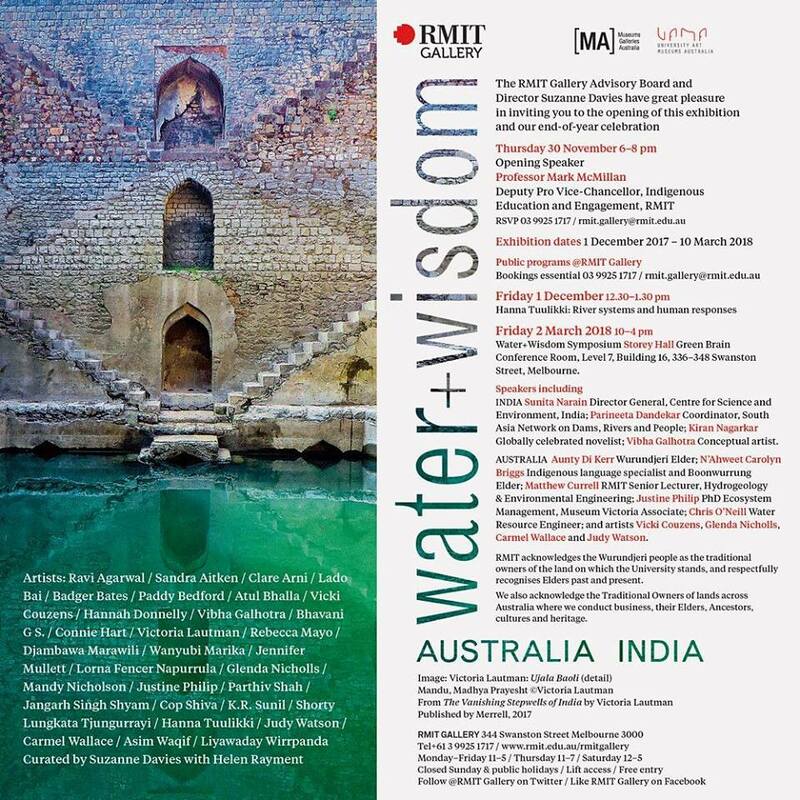 Honoured to be included in this exhibition and symposium featuring the work of Australian and Indian artists, writers and researchers. This new exhibition creatively explores both customary knowledge and contemporary issues surrounding water. This entry was posted in Uncategorized and tagged art, Budj Bim, Carmel Wallace, climate change, contemporary art, contemporary sculpture, drystone walls, ecology, eel traps Budj Bim, environment, environmental art, exhibition, indigenous eel traps, Kurtonitj sculpture, Lake Condah, Melbourne art, RMIT Gallery, water, water+wisdom. Bookmark the permalink.